Catherine has a distinct osteopathic approach that utilizes more subtle but powerful treatment techniques. Her focus is on cranial (head) osteopathy, visceral (organs) osteopathy, and the movement of fluids. Through cranial osteopathic techniques, Catherine can influence the CNS (central nervous system), spine, fluctuation of the CSF (cerebrospinal fluid), tension in the dura mater and dural tube (deepest connective tissue in the body) and movement of the cranial bones and sacrum, the bone at the base of the spine. Osteopathy is unique in that it focuses on this semi-closed hydraulic system of which the above components comprise. The fluctuation of CSF is paramount as it influences the tensions in the body and thus the functions of the body’s systems. The fluid movement is influenced by trauma, whether it is physical or emotional, or simply the stresses of daily living. Environmental factors also play a role, for example, a sudden change in barometric pressure bringing on a headache in the forehead. Deep to this area is one of the chambers in the brain where CSF is produced. Some refer to the CSF as ‘liquid light’ or ‘liquid energy’ as it carries the potency of the body. Our lymphatic fluid, produced from the CSF, goes everywhere and thus influences the tensions throughout our systems. 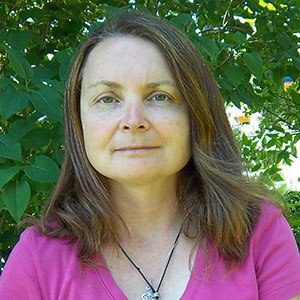 Catherine has many years of experience using osteopathy and spending much time on personal growth to connect with universal energy. She is able to harmonize with this energy very proficiently, allowing her clients to use this facilitation to restore harmony within themselves. In natural healthcare, we acknowledge that the body has innate, healing abilities and the osteopathic manual practitioner is a facilitator for these abilities to manifest. It is in this respect that Catherine uses hands-on osteopathic techniques to empower individuals and understand their multifaceted nature and the impact of mind, emotion and spirit on their physical health. Catherine is available at The Root of Health on Wednesdays and Fridays. If you wish to meet Catherine before booking an appointment, she is available for complimentary 15 minute meet and greets. ← How Can Manual Osteopathy Help With Hip Issues?